Nerf Retaliators As Low As $1.33. 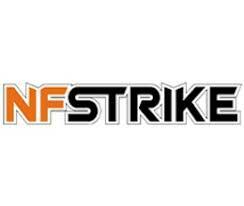 Customers looking to purchase Nerf toys that are more adults, designed to mimic tactical solutions and to be used in amateur and professional competitions, will find everything they need from NF Strike. Products include advanced and custom Nerf guns that can shoot farther, faster, and more accurately to Nerf magazines, accessories, tactical gear and equipment, and even fully functional Nerf Claymore mines that fire off tiny foam darts instead of real shrapnel when they are detonated. 10% off discounts are applied to the first purchase made by new email newsletter subscribers, and free shipping is included on every NF Strike purchase online.